International Women's Day march in Chicago on Sunday, March 8, 2015. 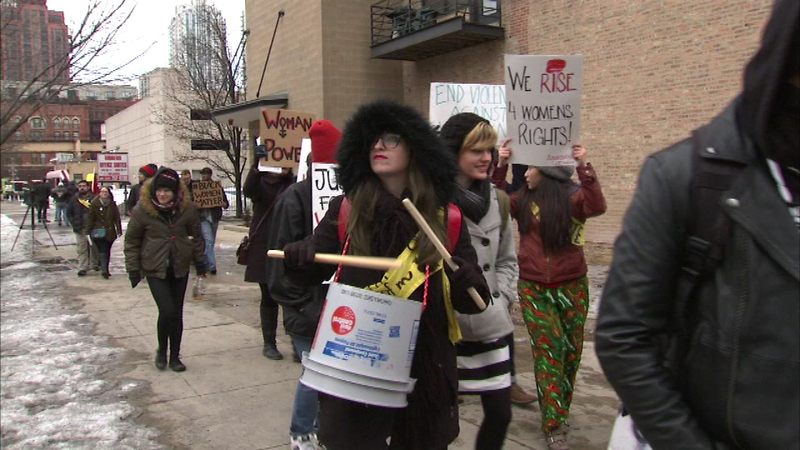 CHICAGO (WLS) -- Cities around the world marked International Women's Day Sunday. In Chicago, a group gathered at the Haymarket Memorial in the West Loop before marching to Union Park. International Women's Day is an annual event that celebrates women's achievements and makes the call for greater equality.